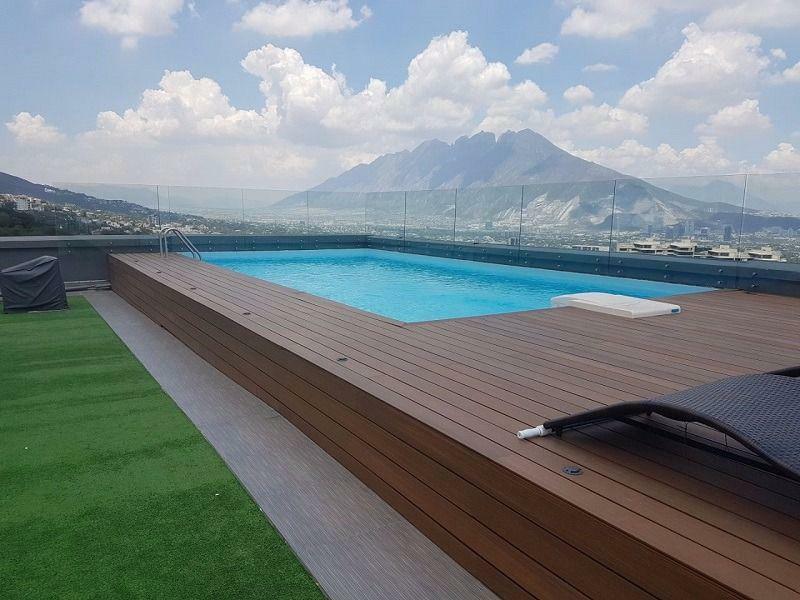 CONDOMINIO DE 6 PISOS, TODO EQUIPADO, CLIMA CENTRAL C/U, BAÑOS TERMINADOS, PLAFONES A 3 MTS., ILUMINACIÓN Y BALCONES MUY ELEGANTES Y ACABADOS INTERIORES (LOS PISOS, LA COCINA Y LOS CLOSETS SE ENTREGA AL GUSTO DEL CLIENTE). ACABADOS DE LUJO, PUERTAS DIVINAS EN NOGAL, VENTANAS DUOVENT PANORÁMICAS, MUROS EXTERIORES AISLADOS TÉRMICAMENTE, 3 CAJONES PRIVADOS C/U (MAS 2 PARA DISCAPACITADOS y 3 DE VISITANTES), JARDÍN AMPLIO, ASADOR EQUIPADO Y ALBERCA EN SKYDECK. EL ACCESO DEL ELEVADOR ES AL LOBBY DEL APARTAMENTO CON LLAVE PRIVADA, TIENE UNA PEQUEÑA BODEGA EN ÁREA DE ESTACIONAMIENTO. ES REALMENTE UN PROYECTO CON SINGULARIDAD MUY EXCLUSIVO Y VISTAS FABULOSAS A LA MONTAÑA Y A LA SIERRA MADRE.